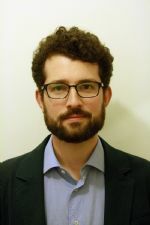 Iagê Z. Miola is currently a law professor at the Federal University of São Paulo (UNIFESP) and a researcher of the Brazilian Center for Analysis and Planning (CEBRAP). He earned a PhD in Law & Society at the University of Milan (2014), a Master's in Sociology of Law at the Oñati International Institute for the Sociology of Law (2009), and a Bachelor of Laws at the Catholic University of Rio Grande do Sul (2008). In 2012, he was a Visiting Scholar at the New York University (NYU), Department of Sociology. He has written on the fields of sociology of law and economic law, on topics such as state reform, the regulation of corporate power, the legal professions, and legal mobilization.